Minasgeraisite-(Y): Mineral information, data and localities. After the type locality in the state of Minas Gerais, Brazil, plus the suffix "-(Y)" due to the dominance of yttrium in the composition. Former status: "Approved species, but validity may be questionable (Demartin et al., 2001)". The validity was actually confirmed together with a rather strong redefinition, by Cooper & Hawthorne (2018). The authors suggest formation of a triclinic subgroup within the gadolinite-datolite group to which the minasgeraisite-(Y) now belongs. Originally thought to be: CaBe2Y2Si2O10. Usually subvitreous, but may form dull fine-grained coatings. 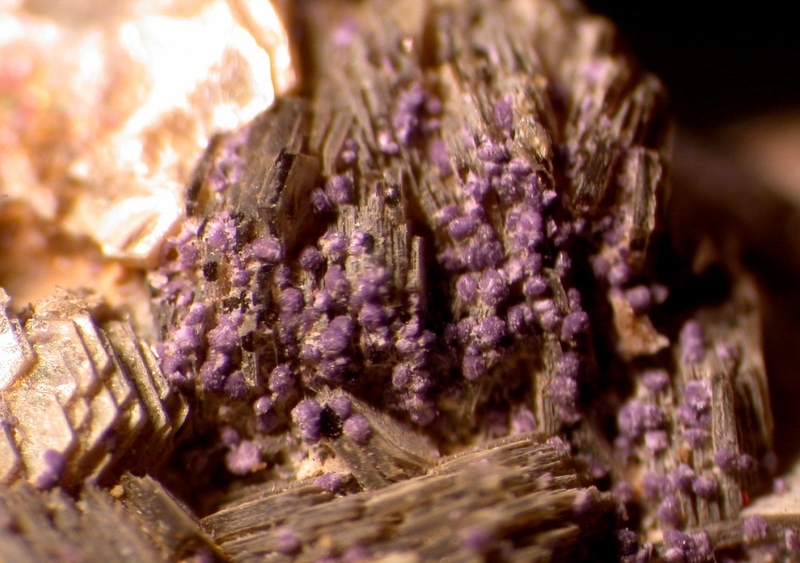 Purple botryoidal clusters with minutely textured surface where crystal terminations meet. 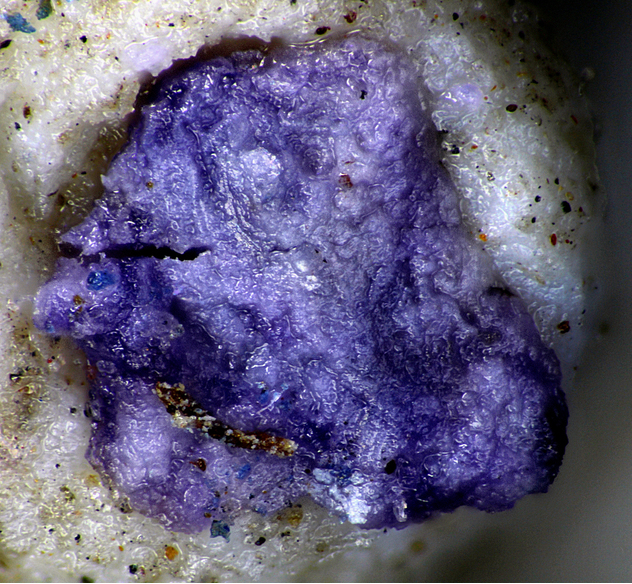 With milarite in late stage crystallization of a granite pegmatite. Muscovite 1 photo of Minasgeraisite-(Y) associated with Muscovite on mindat.org. Fluorite 1 photo of Minasgeraisite-(Y) associated with Fluorite on mindat.org. Foord, E. E., Gaines, R. V., Crock, J. G., Simmons, W. B., Jr., Barbosa, C. P. (1986): Minasgeraisite, a new member of the gadolinite group from Minas Gerais, Brazil. American Mineralogist 71, 603-607. DeMartin, F., Pilati, T., Diella, V., Gentile, P. & Gramaccioli, C. M. (1993): A crystal-chemical investigation of Alpine gadolinite. Can. Mineral. 31, 127-136. Demartin, F., Minaglia, A. & Gramaccioli, C. M. (2001): Characterization of gadolinite-group minerals using crystallographic data only: the case of hingganite-(Y) from Cuasso al Monte, Italy. Canadian Mineralogist 39, 1105-1114.
Cooper, M.A., Hawthorne, F.C. (2018): Cation order in the crystal structure of ‘minasgeraisite-(Y)’: Dedicated to our friend the late Luis Menezes, who brought this mineral to our attention and graciously provided a superior specimen with crystals suitable for single-crystal structure work. 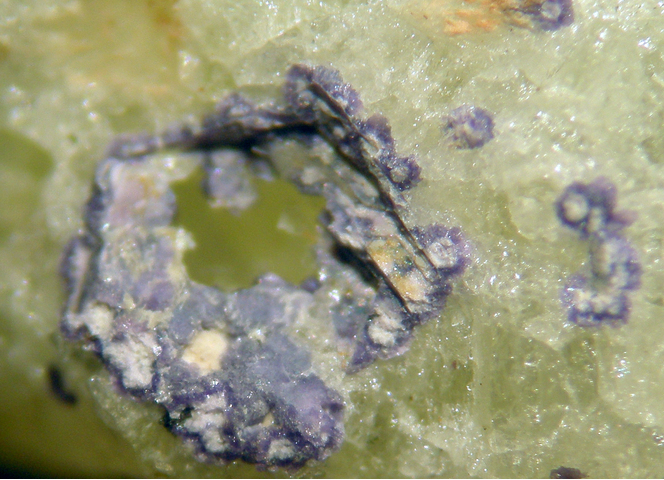 Mineralogical Magazine 82(2), 301-312. Habel, A. & M. (2009): Minasgeraisit-(Y) aus dem Krennbruch in Matzersdorf/Tittling. Mineralien-Welt 20 (5), 51-53.